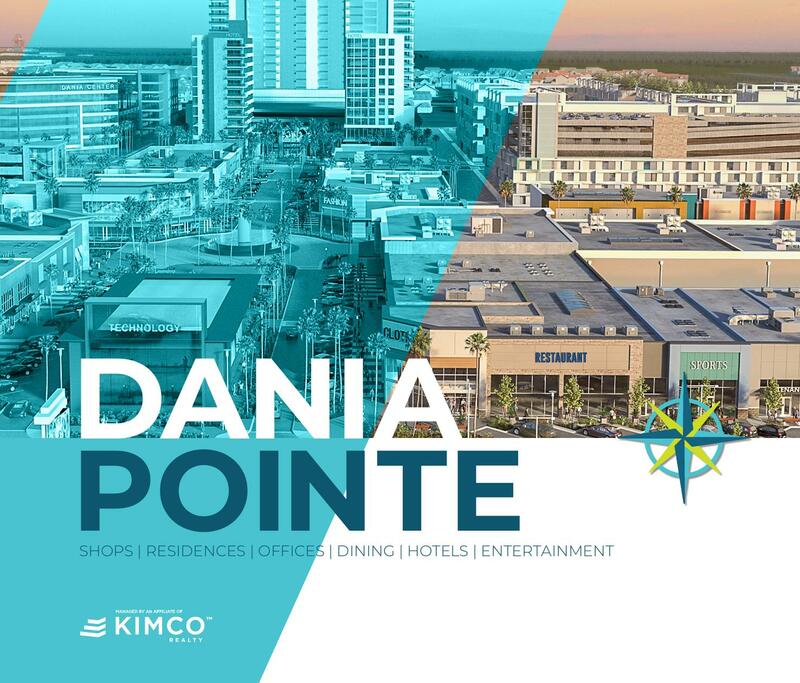 Dania Pointe is a 102-acre premier mixed-use development with nearly 1 million square feet of retail and restaurants in addition to luxury apartments, hotels, Class A offices and public event space. The site boasts 1,600 linear feet of frontage on Interstate 95 with three I-95 access points, along with immediate proximity to the Fort Lauderdale-Hollywood International Airport and the Port Everglades Cruise Port. Dania Pointe will feature a sophisticated mix of shopping, dining, and entertainment venues, which will serve the nearly 1 million consumers living in the surrounding trade area and the projected 15 million domestic and international tourists visiting Broward County annually. Phase I, comprising approximately 330,000 square feet of retail anchored by Lucky’s Market, BrandsMart, TJ Maxx, Hobby Lobby, Ulta, and more, opened in Q4 of 2018. Phases II & III, slated for completion in 2020, will include an additional 417,000 square feet of lifestyle retail, dining and entertainment, along with two Marriott hotels, 250,000 square feet of office space, and 600 residential apartment units, of which the first 264 are now under construction. Phase II & III tenants include Bowlero, Tommy Bahama, Forever 21, b. young, Lindbergh, Regal Cinema and Saito Japanese Steakhouse.